This tool helps you estimate your labour costs against your running labour costs for each employee. 4. The Rate (per hour) is populated with the employee's cost rate from the employee form on the current contacts page. 5. Click View Cost Centre Details of a specific employee. The cost centres where the employee rendered his work hours will be displayed. 6. You may input your estimated total hours for each employee per cost centre on the Estimated Total Hours column. The Total for each employee is displayed on the main row while the general total is displayed on the Total row. Clicking the Total Estimated Hours will display the computation. 7. The Estimated Total Costs column displays the estimated costs for each employee per cost centre depending on the Estimated Total Hours and the Rate Per Hour. The total per employee is displayed on the main row while the general total is displayed on the Total row. 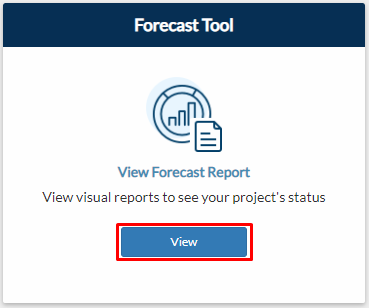 Clicking the Estimated Total Cost amounts will display the computation. 8. The Current Hours column displays the timesheet submissions per employee. 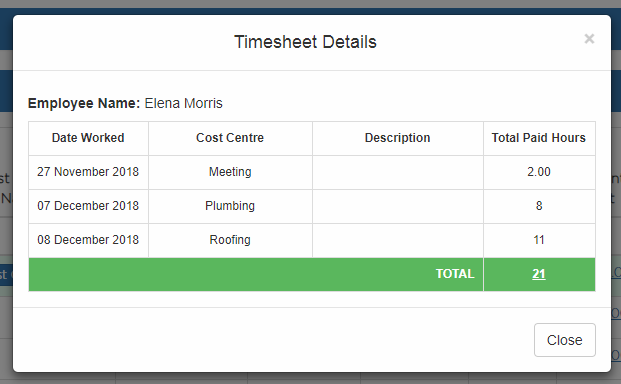 Click the current hours, either per cost centre or per employee, to display the timesheet summary. 9. The Current Costs column displays the current costs of each employee per cost centre. The Total per employee is displayed on the main row while the general total is displayed on the Total row. 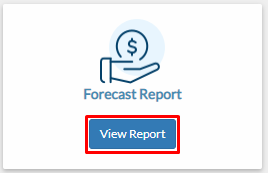 Clicking the Current Cost amounts will display the computation. 10. Input a Start Date and an End Date and notice the Current Cost column auto-populates. Input your estimates for each employee per cost centre on the Estimated Cost column. 11. The Current Cost column comes from your timesheet submissions within the coverage of the date filter. 12. The TOTAL row displays the sum of your Estimated Total Hours, Estimated Total Cost, Current Hours, and Current Cost. Note: You may click the amounts that are underlined and highlighted in blue to see the formula or breakdown of the amounts.